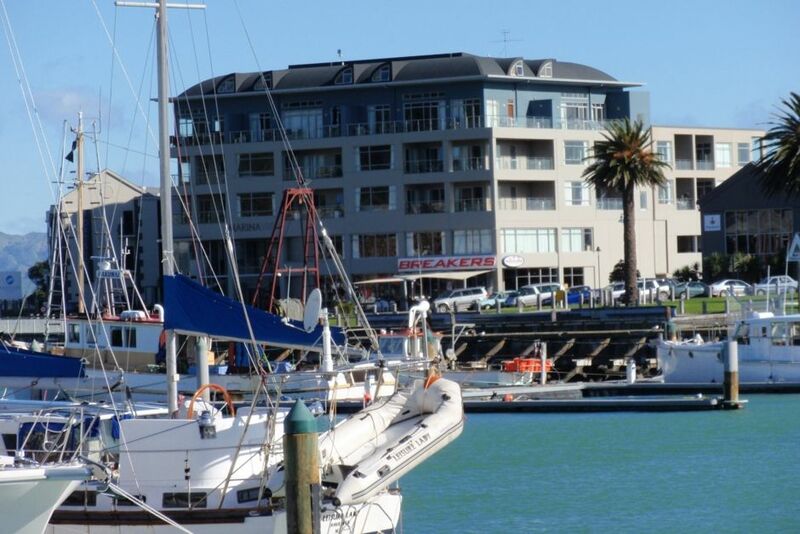 Marina view Apartments are located in the inner harbour of Gisborne surrounded with beautiful nature walks and only 3 minutes away from spectacular beach walks, beautiful boutique shopping, cinemas great library and museum. A great place to drive your car into secure car parking with internal access, forget the car for the rest of the holiday and enjoy walking along the river banks to great restaurants. Marina view apartments offer laid back luxury with spectacular views over the marina or over the pacific ocean and out to young nicks head. The onsite restaurant Breakers has peaceful views over the marina great for families with internal access from the apartments. The apartments have a quiet tranquility very peaceful with modern conveniences and the best of lifestyle comforts. The Swedish sauna is great for relaxation. Apartment 401 can sleep up to eight people. It is appreciated if you would enjoy the apartment entertaining family and friends and leaving the apartment in the state in which you found it on departure. Late check outs can be arranged to suit your flights or special requirements. It is appreciated if you could text Catherine when you are about 15 minutes away so we can welcome you at the front door of Marina View Apartments. Awesome roomy apartment with beautiful views and amazing facilities. We were actually put in apartment 405. We were actually put in apartment 405. Perfect location for shopping, restaurants and walks along the beach. Fabulous view of the Marina and all that was happening there. There is A/C in every room which we needed because the apartment gets quite hot. It is well appointed for cooking, laundry etc, has comfortable beds, pillows and linens. Great to have the pool to cool off in on a hot day too. Great apartment with fabulous afternoon sun. Great apartment with fabulous afternoon sun. Gizzy is a great place to visit. Kids loved the pool with our 35 degree days.